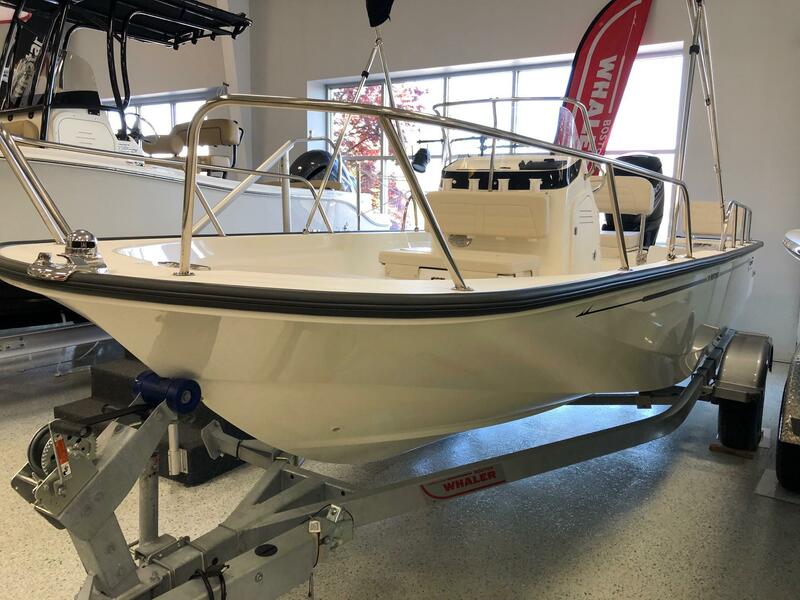 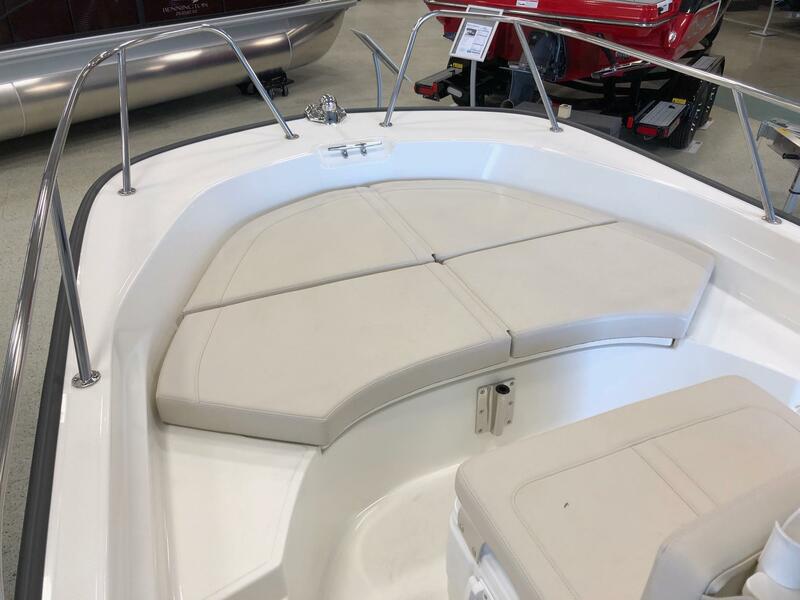 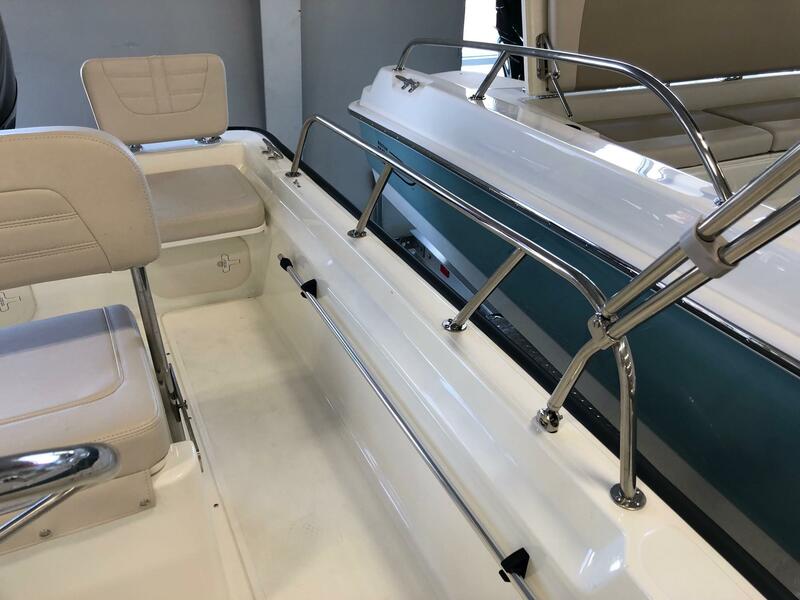 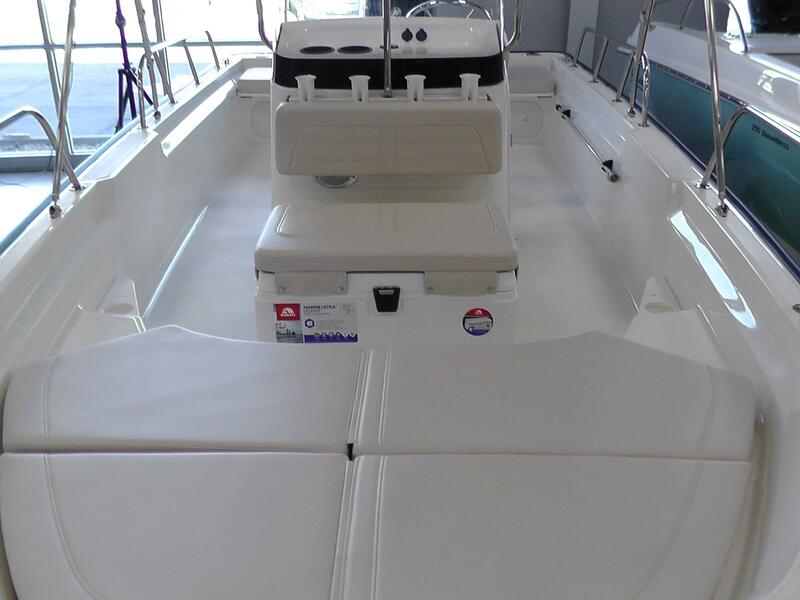 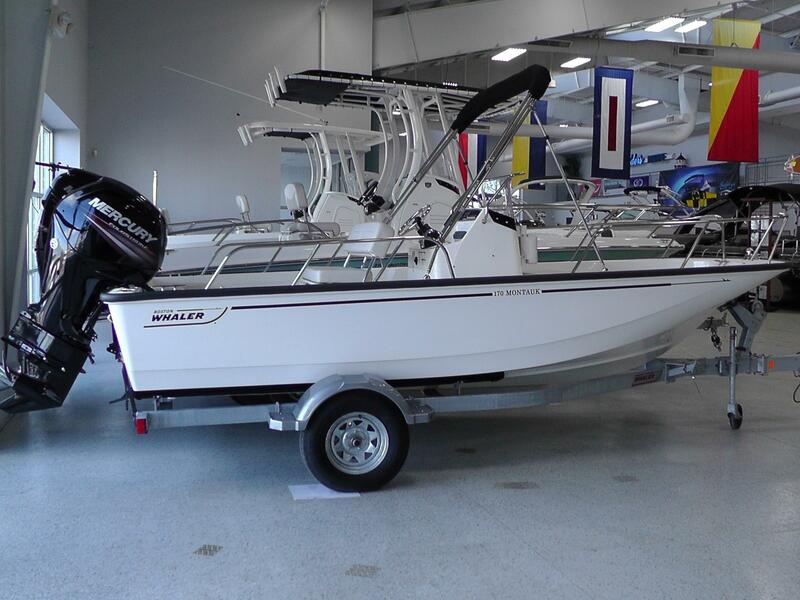 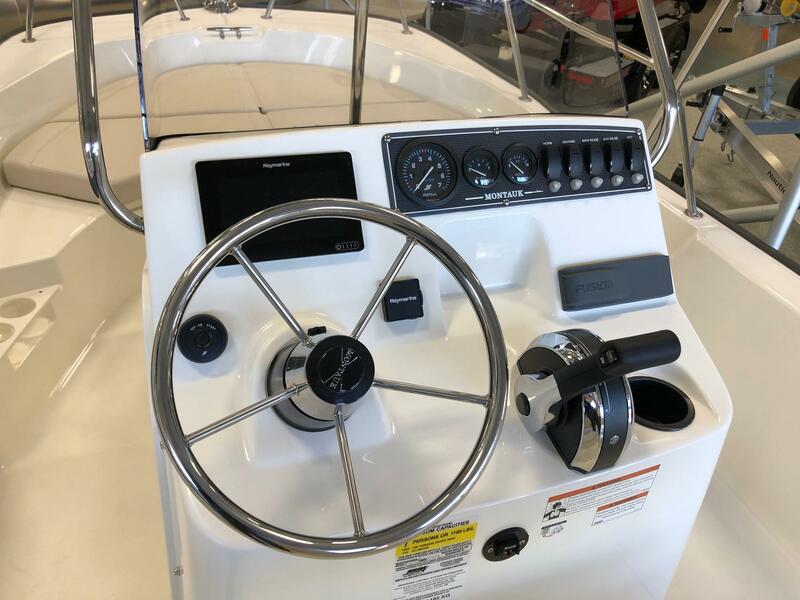 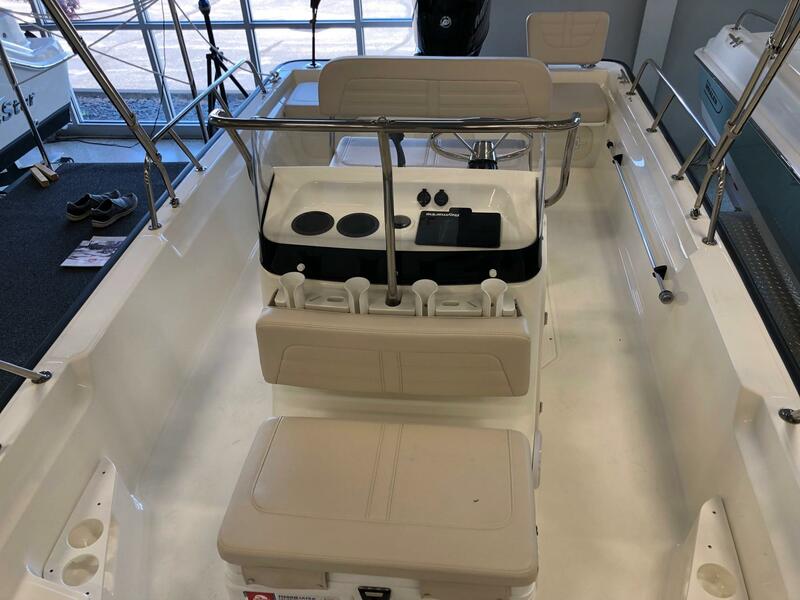 2019 Boston Whaler 170 Montauk featuring a White Hull with Black Graphics. 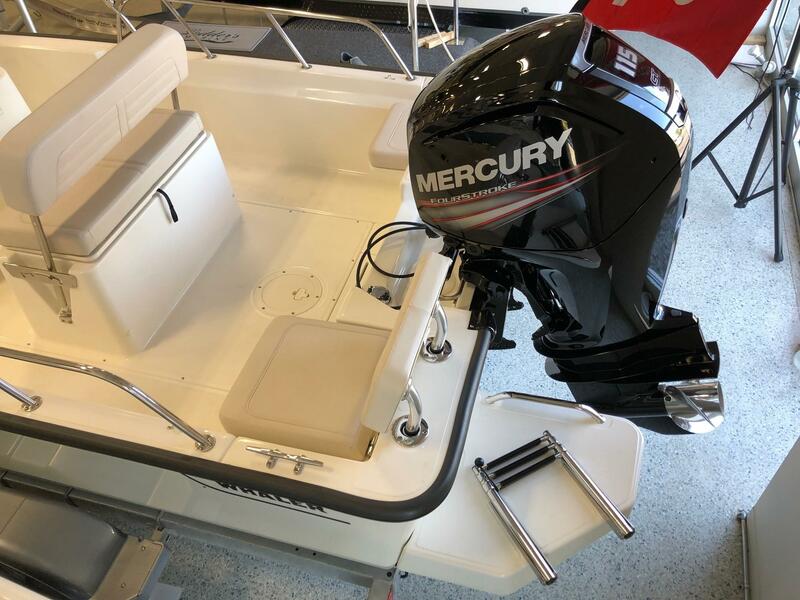 Powered by a 115hp 4 Stroke Mercury CT. Featrues Include: Split Bow Rail, Bow Cushion, Cooler Seat, Pedestal Fishing Seat, Aft Seats, Livewell, Stereo, 7" Raymarine Axiom 7 DV Electronics with Navigation, Sun Top With Boot, Combination Console/Leaning Post, Galvanized Single Axle Karavan Trailer with Spare and Radial Tires. 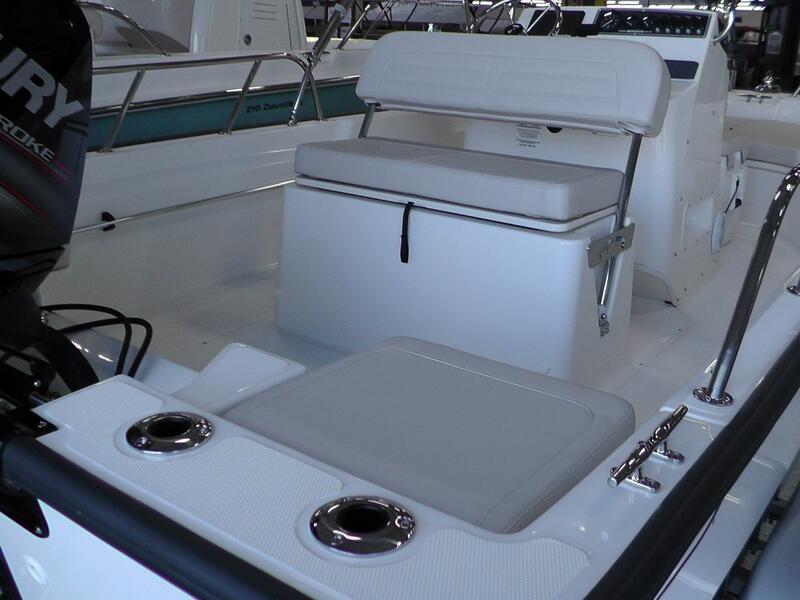 Classic heritage meets cutting-edge capability in the 170 Montauk. 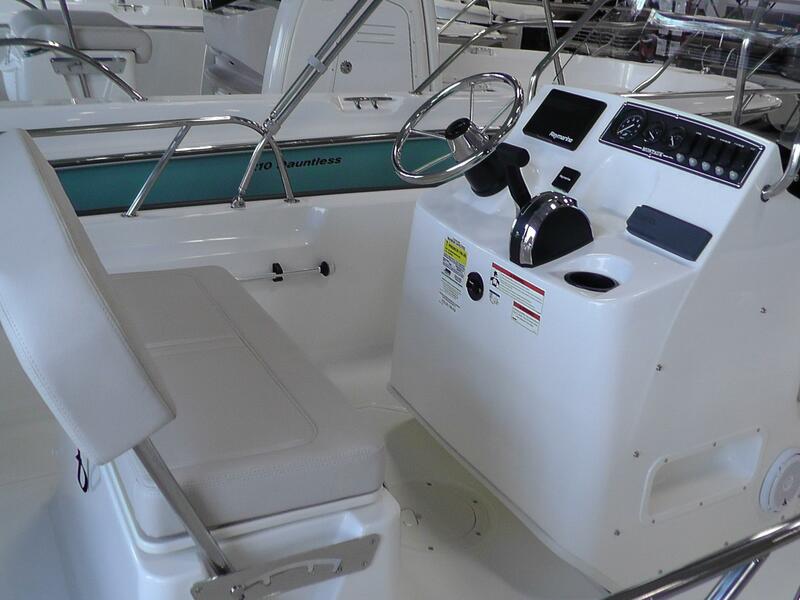 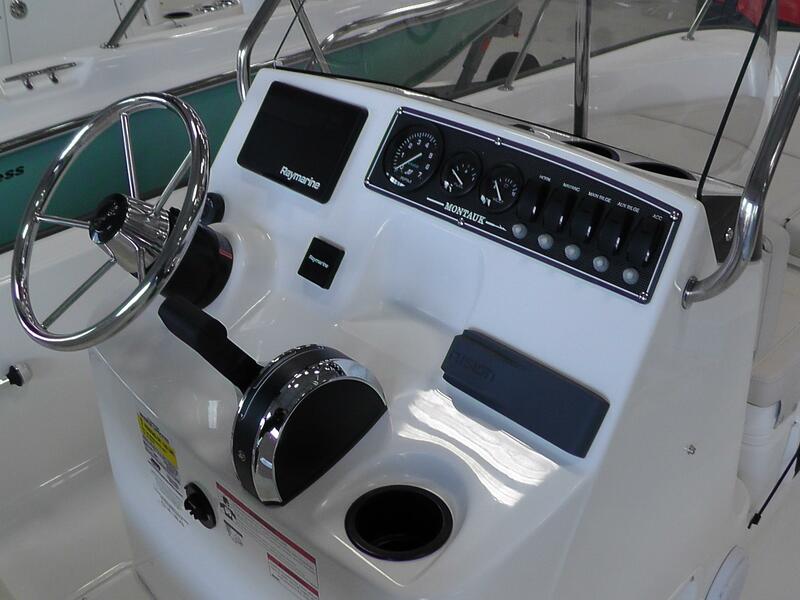 This nimble center console model retains its clean, timeless aesthetic and rugged ?hose-and-go? 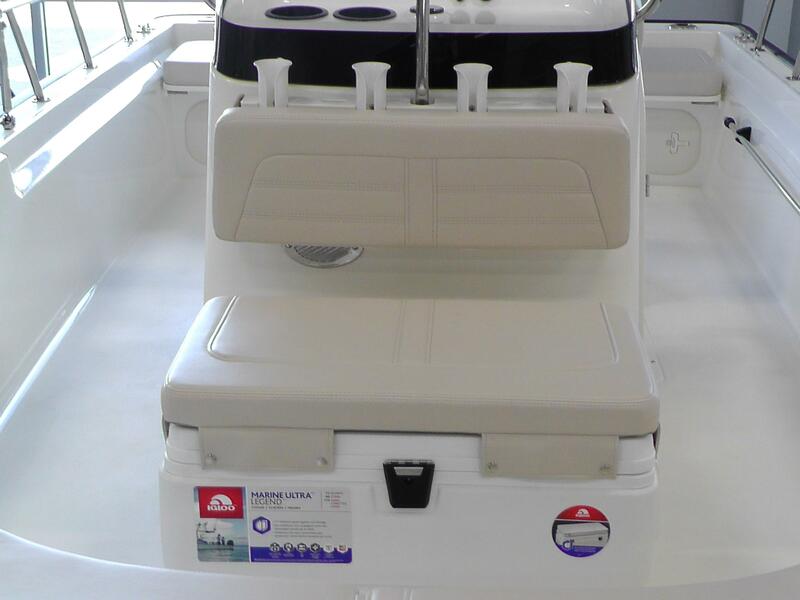 utility while providing enhanced comfort, performance and versatility. 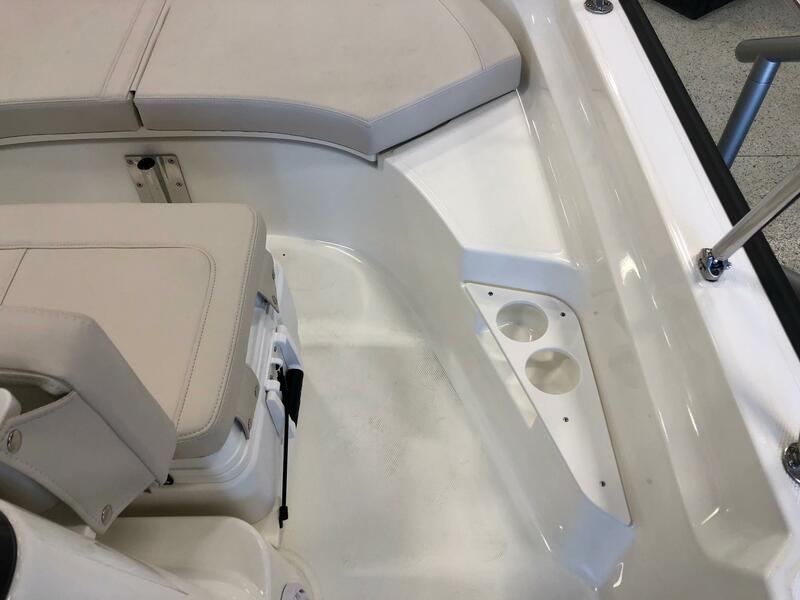 Count on all the features you need to get the job done, and the impeccable quality you know to expect from Boston Whaler ? 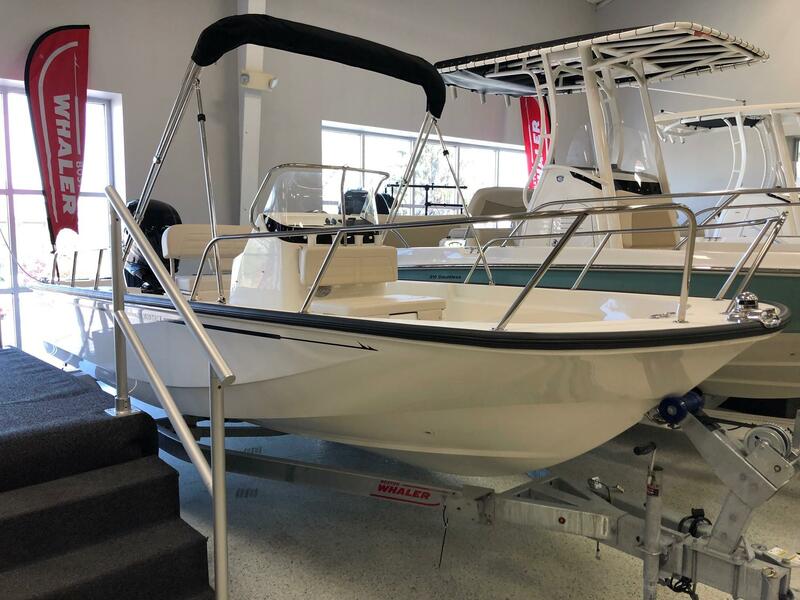 and fall in love all over again with the 170 Montauk.